A presentation by staff from the School of Communication and Creative Arts in the Faculty of Arts and Education at Deakin University. The up-take of internet integrated television is increasing and smart television use is rising. Broadcasting as audiences and industries have known it faces further transformation. The presentation explores issues having arisen over how to safeguard local content in a globally interconnected media world where protection is diminishing. Toija is a writer and Senior Lecturer in Media and Communications. Lamalama elder Sunlight Bassani is sick and dying and wants to finish the quest he began as a young man, to get his people back onto their country. To do this he must negotiate with white people through a process he doesn’t fully understand while maintaining cohesion within the Lamalama in the face of the unmaking and remaking of identity and authenticity that this quest is forcing on them. Simon is a filmmaker, Senior Lecturer and Head of the Film and Television discipline. Screening Objects looks at the relationship between screens and objects from two artists’ perspectives. This research references personal work and the work of other artists. Lienors is an animator, glass artist and Lecturer in Animation & Motion Capture. Rose is an animator and Lecturer in Animation & Motion Capture. Filmnews was published from 1975 to 1994. Over time Filmnews came to represent the voice of the independent Australian film and video maker, while maintaining a broad brief, covering the areas of media production and practice, media policy, film culture and theory. It carried well-informed interviews with individual filmmakers (famous and obscure, local and foreign) side by side with critical interviews with policy-makers, film bureaucrats and broadcasters, side by side with analyses of institutions, funding regimes and media policies, side by side with sophisticated but accessible articles on current film theory debates. Complete sets of this newsprint periodical are very hard to find these days and they are crumbling. The Filmnews Digitisation Project will create an archival resource providing a wealth of material for those researching Australian cinema, the history of independent media, cultural policy and Australian film and video in particular. 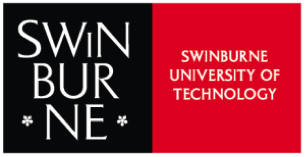 Screen Studies scholars from Swinburne University of Technology will lead a discussion on different approaches to audience studies, a research area that has been complicated in recent years by screen convergence, streaming platforms, and transmedia paradigms. Researchers from three departments (Media and Communications, Swinburne Institute of Social Research, and Law) will give brief presentations on the many questions and debates that dominate screen studies today. The presentations in the first group will complicate our understanding of fan culture and identity. Dr Liam Burke will discuss different approaches for studying the non-fan audiences of cult texts. Dr Dan Golding will consider how audience data for videogames is gathered and the continuing rhetorical uses of the videogaming audience. Alexandra Heller-Nicholas will discuss how Abel Ferrara’s Ms. 45 is a privileged artefact from the specific perspective of feminist cult film fandom. Professor Jason Bainbridge will look at the mainstreaming of fan culture and the increasing importance of material culture in virtual spaces. This first section will conclude with an open discussion about the different strategies and practices for understanding fan culture. Dr Claudy Op den Kamp will open the second group discussing digitisation efforts in which little or no attention is given to public domain titles including Warner Bros.’ online distribution model and The Criterion Collection’s DVD distribution policy. Dr Ramon Lobato will focus on streaming platforms and audience geography, reflecting on streaming culture as a research problem for screen scholarship. Professor Jock Given will discuss the range of research methods used for an ARC Linkage project supported by the ABC and Screen Australia to quantify the changing ways Australians are watching and engaging with audiovisual stories. This presentation will lead into more general discussions around tracking and theorising reception in a fragmented media landscape. John Cumming¹s superb book is not only about the prodigious, exploratory, challenging films, videos and TV programs made by John Hughes it is also about what it takes to keep moving and changing with the times, how to negotiate with institutions and collaborate with sympathetic minds from other art forms, how to research and teach and theorise on the spot. The Films of John Hughes is available to purchase from The Education Shop and copies will also be available at the launch. The Stardom and Celebrity of David Bowie is a 2-day symposium that brings together artists, academics, and cultural commentators to reflect on the influences of and on David Bowie in rock, pop, film, art, fashion and performance. When? 17th-18th of July @ ACMI. Bowie’s cultural and artistic currency is presently at an all-time high with the release of his first album in almost a decade, The Next Day (2013), reviewed in The Independent as possibly “the greatest comeback album ever”. 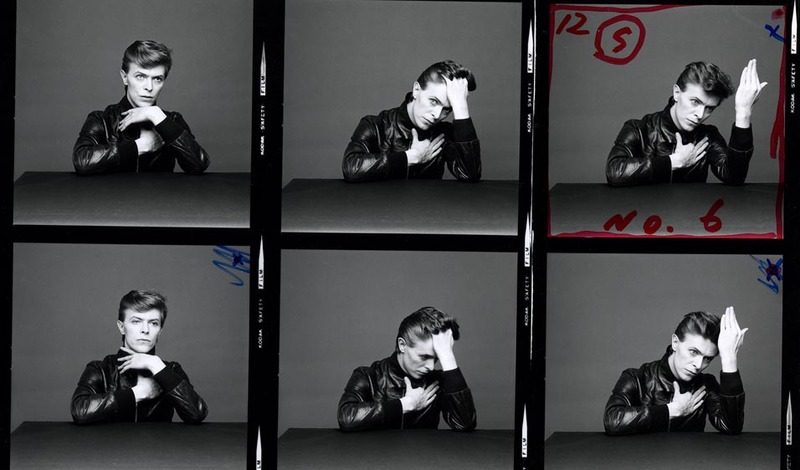 The release of a series of momentous music videos that recall and reflect upon his artistic career, the record-breaking David Bowie is global exhibition tour, and the recently released ‘Sue (Or in a Season of Crime)’ from Nothing Has Changed (his forthcoming compilation album spanning 50 years of recorded work) continues to ensure David Bowie’s status as an agent of change and inspiration. Robert Foster (Songer-songwriter, author and founding member of the Go-Betweens). Also featuring a number of national and international academics and art practitioners, the conference will include keynote presentations, panel discussions, performances and workshops. The conference has been organised by ACMI, Sean Redmond and Toija Cinque from the School of Communication and Creative Arts at Deakin University, and Angela Ndalianis from the School of Culture and Communication at The University of Melbourne. Since 1940, one year after his inception, Batman has occupied multiple media texts: from 1943 onwards he has also existed across multiple media forms. This talk takes us through 76 years of Batman as a cross-platform cultural icon, tracing his journey from comics through newspaper strips and film serials to television, movies and video games. It argues that these different Batmen exist in a dialogue, rather than a simple process of adaptation, and explores the way in which they continue to inform each other, right up to the Arkham video games, the Gotham TV show and the forthcoming Batman v Superman blockbuster. Will Brooker is Professor of Film and Cultural Studies and Head of the Film and Television Department at Kingston University, London. Professor Brooker’s work primarily studies popular cinema within its cultural context, situating it historically and in relation to surrounding forms such as literature, comic books, video games, television and journalism. In addition to the numerous essays and articles on film and fan culture that he has published, his books include Star Wars (2009), Alice’s adventures: Lewis Carroll in popular culture (2004), Using the force: Creativity, Community and Star Wars Fans (2002), and the edited anthologies The Blade Runner Experience (2004) and The Audience Studies Reader (2003). He is also a leading academic expert on Batman and the author/editor of several books on the topic, including Batman Unmasked (2000) Hunting the Dark Knight (2012) and Many More Lives of the Batman (in press, August 2015). Professor Will Brooker’s public lecture is sponsored by the School of Culture and Communication at The University of Melbourne and the School of Communication and Creative Arts at Deakin University. 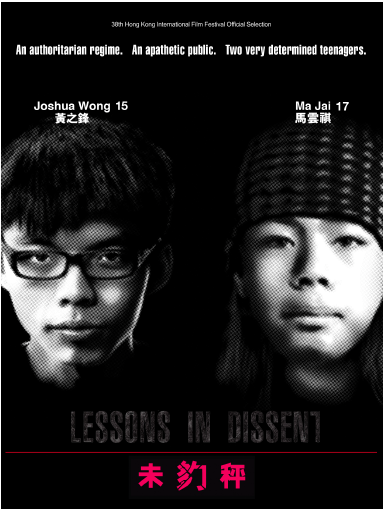 Free screening of documentary film Lessons in Dissent, on 10 March 2015 (Tuesday), 4.30pm to 6.30pm, at the Sidney Myer Asia Centre, Yasuko Hiraoka Myer Room (Room 106), The University of Melbourne (on Swanston St). Details of the film and event are included below. Schoolboy Joshua Wong (nominated for Time Magazine’s Person of the Year 2014) dedicates himself to stopping the introduction of National Education, and a showdown with the government seems inevitable. Microphone in hand, and still in his school uniform, he leads 120,000 protesters into battle. Meanwhile, former classmate Ma Jai fights against political oppression on the streets and in the courts. Having dropped out of school and dedicated himself to the social movement, he endures the persecution suffered by those not lucky enough to be protected by the media’s glare. Lessons in Dissent catapults the viewer onto the streets of Hong Kong and into the heart of the action: confronting the viewer with Hong Kong’s oppressive heat, stifling humidity and air thick with dissent. The film will be introduced by Shiau Ching Wong, who is writing her PhD thesis in the School of Culture and Communication on the anti-National Education movement in Hong Kong. The screening will be followed by a video-linked discussion with Matthew Torne, director and writer of the film, and Avery Ng, activist and Vice-Chairman of the League of Social Democrats, and moderated by Associate Professor Fran Martin. This event is sponsored by the Screen & Cultural Studies Program, School of Culture & Communication, University of Melbourne, with support from the Research Unit in Public Cultures. For further information please contact Associate Professor Fran Martin (f.martin@unimelb.edu.au) or Shiau Ching Wong (shiauw@student.unimelb.edu.au). WIFT in partnership with Deakin will be hosting a screening of work by women Film & TV graduates from Deakin University (and the former Rusden college) for International Women’s Day. There will be a Q&A after the screening and an opportunity to catch-up with former students with drinks and nibbles. While brilliantly and fascinatingly introducing analytical elements of a syndrome he calls “Intensive Continuity,” David Bordwell neglects to comment on an underlying substructure of this relatively new cinematic trend, the dependence on indication and indicativeness in the construction and reception of films. This talk explores indication and subjunctivity as possible modes of cinematic experience, with in-depth focus on three films of Hitchcock, North by Northwest, Vertigo, and The Man Who Knew Too Much (1956). The recent international success of Alejandro González Iñárritu’s Birdman, Alfonso Cuarón’s Gravity and Guillermo del Toro’s Pacific Rim have altered the popular perception of Mexican cinema and perhaps even of Mexico itself. These three film auteurs are contemporary exemplars of Mexican cinema’s long-standing international aspirations. This talk will explore the local/global dynamics of these “three amigos” as well as lesser-known art-house directors—Carlos Reygadas and Amat Escalante—who have in recent years become the darlings of European film festivals. Marvin D’Lugo is a Research Professor of Spanish and Screen Studies at Clark University (Worcester Massachusetts) and principal editor of Studies in Spanish and Latin American Cinemas. He is author of books on Spanish filmmakers Carlos Saura (Princeton University Press, 1991), Guide to the Cinema of Spain (Greenwood, 1997), Pedro Almodóvar (University of Illinois Press, 2006) and co-editor of the Companion to Pedro Almodóvar (Wiley-Blackwell, 2013). He is currently working on a book on Mexican Film Auteurs in Global Contexts, and co-editing a new critical anthology: The Routledge Companion to Latin-American Cinema (2016). Contact: Jeremy Taylor in the School of Language and Linguistics at jeremy.taylor@unimelb.edu.au or phone 03 8344 4720.